Since I am still recovering from birth and we are all recovering from the nasty virus we are loving bed. So here is my view today. 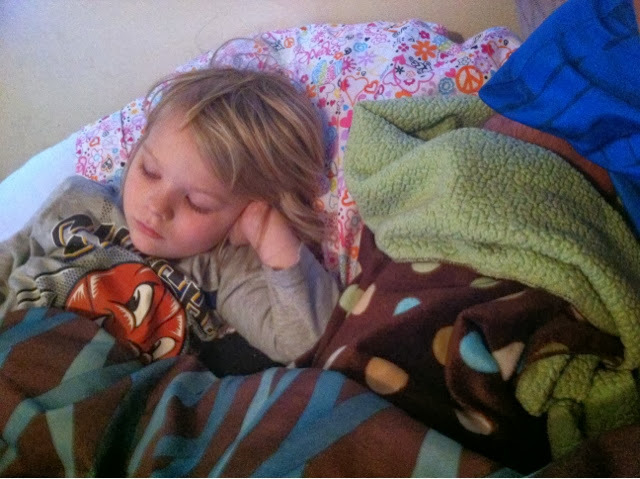 To my right I have a sleeping infant and a still sickly 5 year old. They get to rest an be close for me to watch them and take care of them while still able to teach the girls. 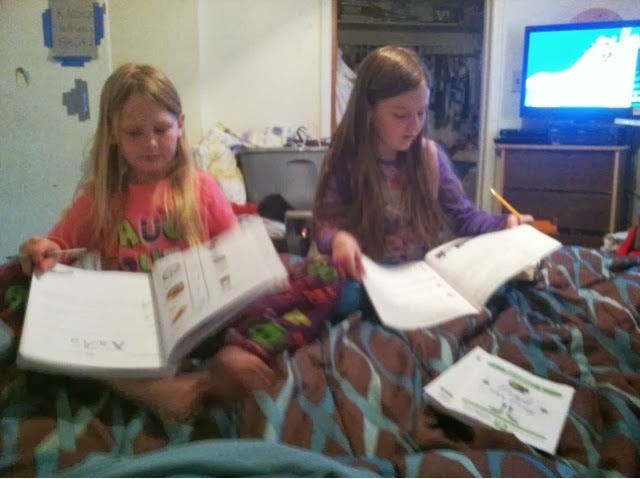 Kiya works on her Foundations B book and Kailea is working on her Language Arts Lifepac book. Each is quiet work so they don't bug each other except to ask a question on the work. Getting back on the groove from holidays as birth has been slow but we are making it. How do you get back into thing after birth of a new baby?